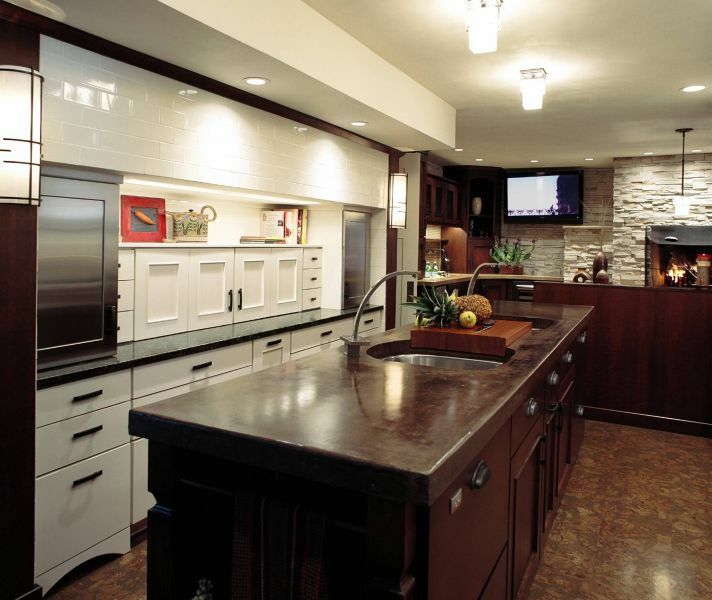 John’s Lumber offers a wide selection of kitchen & bath counter-tops from great brands like Cambria, and Corian. Being one of the most expensive parts of designing a kitchen or bath, we want to make sure you get exactly what you want, designed to your preferences, which is why we have experienced designers ready to help you select the design of your dreams. Designing a new kitchen or bath isn’t as simple as getting a new sink, and requires much more attention to detail, which is where our team comes in. All we need from you is the idea, and we can take it from there. Big box stores may carry what you’re looking for, but trusting the experts is what sets your project apart. We work with some of the best kitchen & bath installers in the area, and make sure that your job gets done right, and your new kitchen or bath. 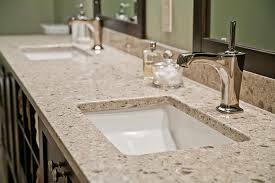 While granite and quartz are very strong, heavy, and beautiful, they are still susceptible to damage. Engineered stone is crafted to be stronger, heavier, and more durable than even the hardest granite. Made up of 95% natural stone, mostly quartz, engineered stone is blended together and held with a hard resin to increase durability. 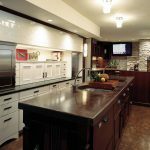 If you want a counter-top that is going to last, engineered stone is the way to go. 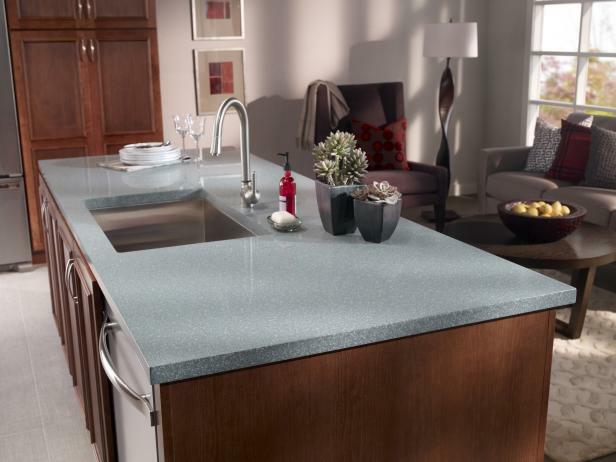 A great alternative to laminate counter-tops, while remaining friendly to your wallet, quartz is elegant and affordable. 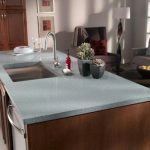 Cheaper than granite and marble, with a wide range of prices, colors, and stone quality, quartz is a very budget friendly option, while maintaining great quality and beauty. Due to the resins used to hold quartz together, it is extremely difficult to chip or stain, but not as resistant to heat as granite or marble. 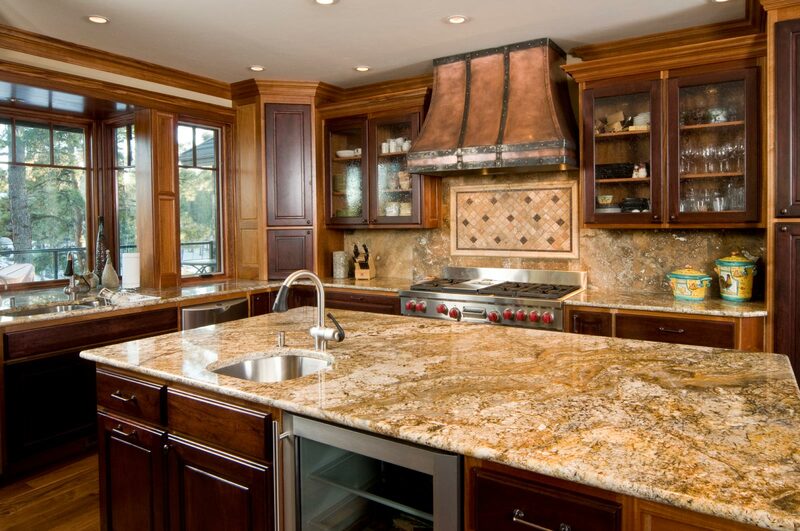 Granite is what people think when it comes to getting a good counter-top. 100% natural stone, granite is extremely durable, heavy, and beautiful, but not totally immune to damage or stains. Being 100% natural, granite is not as resistant to stains from cooking or beverages as quartz, but is much stronger against heat from pots and pans. 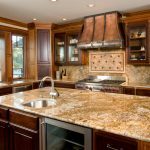 Being natural stone, every slab of granite is unique, offering variations in color, design, and age, giving you endless choices when it comes to designing your counter-top. It is recommended that you seal granite every year to increase the longevity of your counter, and save you money in the long run. 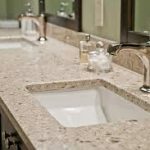 A well maintained granite counter-top can easily last 50 years. More commonly seen in bathroom counter-tops, marble stands out among the rest in terms of beauty, while remaining durable and sturdy. Similar to granite, marble is a naturally forming rock that is cut into slabs that are then used for your counter-top. 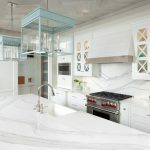 Varying in price, marble can be cheaper than quartz, or more expensive than granite depending on what you are going for, which offers flexibility when it comes to design. Known for being “bright”, marble shines in a bathroom setting, adding extra elegance and beauty to the room. 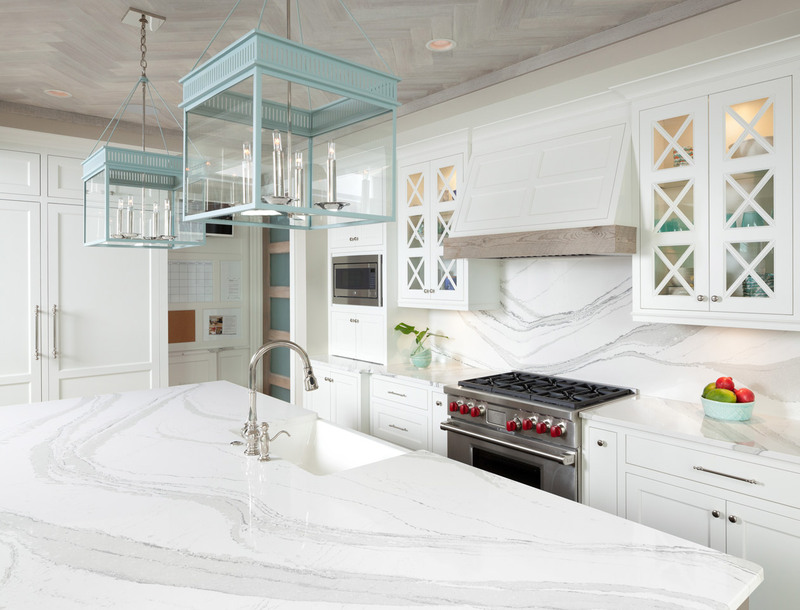 The extra beauty comes at a small cost, as marble is slightly less durable than granite, and more susceptible to scratching or staining, which is why it isn’t seen as much in the kitchen.